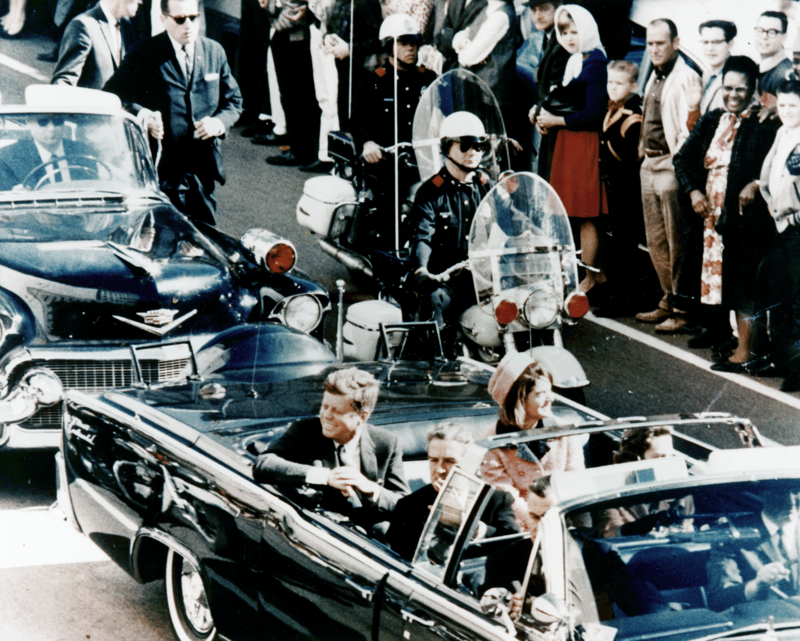 (CN) – After 54 years, the last remaining investigative records on the assassination of President John F. Kennedy are set to be released in October, and their contents could range from mundane to shocking. While talk of fake news and conspiracy persists in today’s headlines, the last files on a favorite American conspiracy will be published, unless the current president decides otherwise. The remaining records consist of 3,000 sealed documents and 34,000 previously redacted files. After Congress passed the JFK Assassination Records Collection Act in 1992, federal agencies transferred all custody of relevant files to the National Archives – roughly 5 million pages. Two historians spoke to Courthouse News to weigh the prospects of the release, what this moment in history may mean for the Trump administration, and what the legacy of Kennedy – conspiracy and all – means moving forward. Fredrik Logevall, Pulitzer Prize-winning author of “Embers of War” and professor of international affairs and history at Harvard University, is currently at work on an as-yet-untitled biography of JFK. Both Logevall and Czitrom said they are skeptical the JFK documents will yield anything new or controversial. “It’s hard to say. I suspect that what we will have, assuming Trump does order the release of these materials, is that Oswald was the lone assassin. I think the central points of the Warren Commission still hold up pretty well. Even if they made mistakes…even a bad investigation, or at least a flawed investigation, can come to the right conclusion,” Logevall said. The Warren Commission was established by President Lyndon B. Johnson a week after JFK’s death in 1963. A year later, the commission tendered an 888-page report to LBJ confirming Lee Harvey Oswald acted alone when he killed Kennedy. But in 2014, a year after the 50th anniversary of Kennedy’s death, the CIA quietly issued a declassified report on the Warren Commission’s work, concluding that former CIA director John McCone withheld information about the assassination from the commission to control the dialogue around the investigation. A year before Robarge’s findings were released, author and veteran investigative journalist Philip Shenon – a man both Logevall and Czitrom called an authoritative source on the commission and the assassination – was interviewed by NPR. Shenon, in his extensive research, suggested that in 1963, an FBI informant affiliated with the American Communist Party, tipped off the agency when he told them about his run-in with Castro in Havana. Castro allegedly told the informant that Oswald, a defector and political dissident, once walked into a Cuban or Soviet embassy in Mexico City and said he was going to kill Kennedy. Shenon said the remarkable claim, which was documented in a letter from J. Edgar Hoover to the Warren Commission in June 1964, eventually disappeared. But after talking with members of the Warren Commission, Shenon reported that some were convinced they never saw such a record. Nonetheless, they were angry to hear that it might have existed, swearing that a much more aggressive investigation would have taken place had they known. In addition to these curiosities surrounding Oswald, declassified reports also revealed that despite months of FBI surveillance tracking him in Washington, D.C., Texas, Louisiana and New York, he never made it onto the FBI Security Index, which names individuals considered to be a threat to public officials or national security. Conspiracy theory is something human beings naturally show an affinity toward, Logevall noted. “I think because we, as human beings, like to think about what’s beneath, what’s hidden. Second, I suppose that there is a certain comfort that comes from imagining that something hidden is driving human events, especially big events like this and that they’re not merely the results of one twisted individual’s actions. It makes for a more intelligible universe for some people,” he said. Logevall said it is surreal that this year’s final chapter in a renowned conspiracy will end during the administration of a president who openly traffics in conspiracy. President Donald Trump’s labeling of special counsel Robert Mueller’s ongoing Russia probe as a witch hunt and claims that climate change is a “Chinese hoax” make for strange juxtapositions, he said. A moment for transparency, and perhaps even cultivating goodwill, now presents itself to Trump. Had the government decided to be more transparent during the investigation of Kennedy’s murder initially, it might have helped put some questions to rest, Logevall observed. If Trump decides to bar the release of the remaining JFK records, it would only reinforce overall skepticism, he said. Logic suggests nearly six decades later, most – if not all – of the individuals named in the files are long dead. Spy identities or mission details are all unlikely to upset national security today. But might there be hesitation to expose the inner workings of a secret agency during a time when the U.S. government is investigating a foreign country’s meddling in the last presidential election? Logevall said he could see it being problematic but still believes the “burden of proof” to clear away conspiracy theories falls on the federal government. At the 50-year mark of Kennedy’s death in 2013, a survey by the Associated Press found that 59 percent of Americans believe multiple people conspired to kill Kennedy. Twenty-four percent believed Oswald acted alone, while 16 percent were uncertain. Until October, speculation on the contents of the remaining files ranges from the mundane to wild theories reminiscent of best-selling spy novels. The most tantalizing prospect? Possible surveillance reports on Oswald during his trip to Mexico City two months before he killed Kennedy that could indicate foreign co-conspirators, and the release of a tightly held 221-page file on Viola June Cobb, a beautiful blonde student turned spy who once told CIA bosses she could identify witnesses tying Oswald to a Cuban plot involving spies spread over Cuba and Mexico City. But could the soon-to-be-released information expose secrets of foreign intrigue and domestic bungling that led to JFK’s assassination? Until it’s all out, “you can’t prove a negative,” Czitrom said. “There’s no real smoking gun, especially in regard to a foreign power. And that could have resonance today, given today’s Russian investigation,” he added. No matter what comes from the release, assuming the records are released, the important thing to focus on, both historians agreed, is the legacy of the former president’s life, not his death. “I’ve thought about this a lot during the rather dismal election season,” Logevall reflected.